"The CPI(M) and other groups have been trying to organise movements around reforming religious practices lately. They organised a protest against pankti bedha (eating arrangement segregated on basis of caste) in Udupi and mada snana (a practice followed in Kukke Subramanya temple by the lowered caste where after the Brahmins are done eating, the lowered caste roll over their used plantain leaves) in Subramanya. It wasn't really a people's movement, it was just another organised protest. Participation in most of these protests are usually low," said Mahabal. Krishanappa Salian is quick to retort, "Don't' you think the effort needs to be appreciated? We need to start somewhere." "All their gods are in our house. They don't worship our gods let alone approve of them — their presence has become more important than our practices. Why is the CPI(M) doing these activities now? Looks like they are just trying to be politically relevant. Political parties will do anything to be politically relevant." counters Mahabal. The atmosphere in Kunajanna's shop turned tense. The veteran communist leader seemed to have annoyed the young communist, who was voicing his criticism against old timers. Bystanders kept joining the conversation, listening intently and chipping in as somebody or the other from their families seemed to have something to do with the trade union movement — past or present. Just opposite the shop is one of the oldest tile factories of the district, which has seen its share of strikes and lockouts. Mahabal is the "disillusioned young communist" who is supported by his uncle and an old-timer trade unionist Kunjanna. On the other side is Krishnappa Salian, senior activist and district committee member of CPI(M). 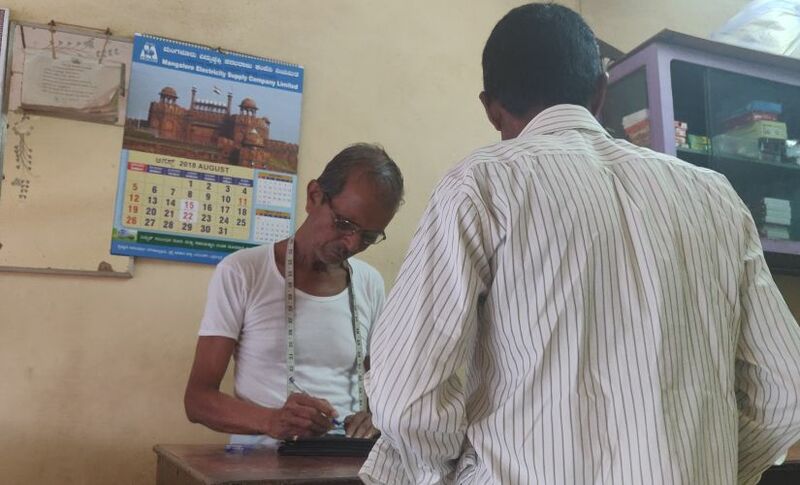 Munnuru, where Kunjanna's tailoring shop is located is in Ullal, which previously was a communist stronghold. The beedi workers union, tile workers union and the farmer's movement saw the strongest mobilisations from this region. Ullal and Bantwal are the only two taluks from where CPI(M) has won MLA elections. The topic of discussion at Kunjanna's shop is: why did other political organisations fail in stopping the post-Independence growth of the Sangh in Coastal Karnataka? There seems to be no verdict. Krishnappa Salian reiterated that his party has been working towards the betterment of the material conditions of the oppressed. 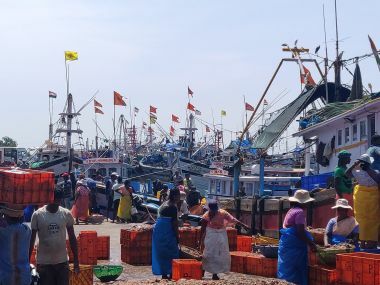 In the case of Ullal, he says he is referring to the beedi workers, landless peasants, tenants, farmers and workers at cashew and garment factories. This doesn't seem to sit well with anybody in the room. "When I worked at a tile industry, was I just a worker? Is a farmer just a farmer? Are landless labourers just peasants? Are the factory owners just ruling class?" asks Kunjanna and adds, "Identities aren't this simple. This is why just the language of oppressor-oppressed isn't sufficient." Mahabal's grouch is that while communist parties tried to unionise and mobilise workers based on the industry, it did not encourage consistent leadership from among their midst nor did it move beyond using this language of the oppressor-oppressed which Krishnappa Salian brought up quite a few times. He believes that the Sangh was successful because they were able to appeal to the cultural and religious sentiments of the people. "These identities are important for people as it is personal. No wonder when the RSS walked in with a new identity, everybody embraced it like a long-lost relative though everything connected with this identity was new for us", chips in Kunjanna. Kunjanna is the oldest in the room. He has seen it all. He believes that no political force had tried to appeal to the cultural consciousness of the people. They didn't think of anything new, like the CPI(M) for instance, just used the textbook language of bandawala (capital) and badathana (poverty). "These youth clubs used to be the centre of all activities back then. Congress used these spaces to work. So did the CPI(M). Slowly these spaces turned form and some have now become Bhajana Mandirs. Nobody had a plan, unlike the Sangh". "Especially in our context, we had a practise which had minimal interference of the ruling castes back then like 'Deiva Aradhane'. They didn't even pretend to care about them as they do now. These non-Vedic practises are followed by all Tulu-speaking communities. This could've been used as a base, isn't it?" asks Mahabal. Krishnappa Salian outrightly rejects the proposition saying while the practice may involve different communities, he is doubtful if the practice will work to bring people together. "The practise is also divided along the lines of caste. Will Poojaris treat Devadigas equally? Will Bunts consider Poojaris as their counterparts? 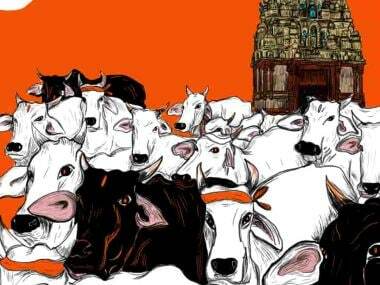 Will Kulals treat castes lower than them like equals?" he asked Kunjanna and Mahabal, both of whom belonged to the Kulal community. "Anyway, how is deva worship and deiva worship different?" he asks. Kunjanna says that this is the fundamental problem of these groups and maybe this reluctance to understand the cultural practices of a region is where the failure lies. "I agree, there might be problems in these practises too. 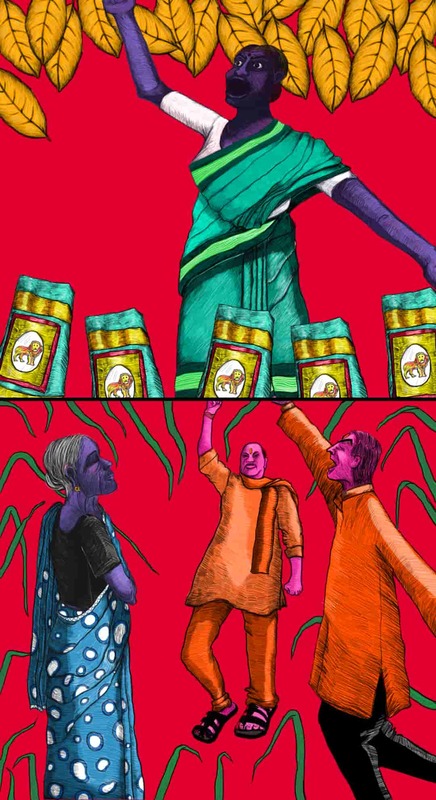 Like Deiva Aradhane is located in a feudal caste-based society, but practices can evolve. If we were proud of it, we would have stuck onto this practice instead of adapting another one so easily. Reformed it. But here, we've just jumped to something totally different." He recollects that deiva aradhane wasn't celebrated as much in the 70s and the 80s compared to now, especially since it was a time of financial downslide. "None of us also realised its importance. We've a share in the blame," adds Kunjanna. To an extent, the practice was associated with a sense of shame. It was ridiculed by many as 'demon worship' and as something 'unclean' by Brahmins as serving meat was part of the celebrations. Only with the coming of the Sangh and its projects like 'Hindu Samajautsav' and 'Ittiga pooja' were these spaces revived to operate as another space from where the Sangh could further expand their base. Deivas (also referred to as Bhuta, meaning past) are a deified form of departed ancestors worshipped by Tulu-speaking communities who comprise more than three-fourths of the population of the region. The stories of the Deivas are told through Paddanas, which are oral narratives sung by men during the annual ritual called kola (interaction with the Deiva) and by women, while they work on the fields. In the course of narrating the story of the Deiva, the Paddana would describe the agricultural character of the Tulu nation while also narrating the hierarchical caste driven existence of these communities. Deiva aradhane is a practise followed by all communities, where each caste is allotted roles in the worship. Some of the Paddanas acknowledge those from other religions, like Bearys, who were also a part of agrarian Tulu nadu. As the Paddanas elicit, agrarian land was central to existence in the region. While the land was subject to regular changes in ownership under different rules, the tenancy was primarily in practice. From the 1920s, there had been elaborate agitations seeking 'land for tenant'. Migrations had started by then with many moving to urban cities in search of jobs. In 1974, the Karnataka Land Reforms (Amendment) Act broke traditional landholding patterns but only to the extent that smaller landholders emerged. This brought in a small inflow of money strengthening smaller communities but opportunities in the area remained marginal. Many continued to migrate in search of employment opportunities. The agrarian nature of the region was hit badly. This also meant that the Deiva Aradene, in which everybody from the village took part, saw a lull. Deiva sanas (also referred to as stana) became desolate as the 70s saw a drop in the cash flow. A vacuum was created in the region with no clear political direction and a sense of cultural identity-crisis prevailed among the masses. The 80s saw a re-imagination of the Tulu-speaking castes in coastal Karnataka, steered by the slowly emerging Sangh. One of the most successful methods employed was to capture spaces common to them, Deiva Sanas (where the Deiva resides), for instance. It followed that the usurping of physical spaces be extended to dominion over narrative traditions; a far easier task, considering much of the region's history was handed down orally, a tradition that stood little chance of withstanding the strength of the printed word. Brahmin priests supplanted local preachers. Bhutas became incarnations of Shiva and Vishnu. National gods became primary, local deities secondary. A babel of communities were syncretised as political Hindus. "The story of Koraga Thaniya also suffered the same fate", says Mahabal. Koraga Thaniya is an Adivasi deity. He was killed for entering into a temple as those belonging to the Koraga community were considered as untouchable. Following this, he was deified and worshipped by Tulu speaking communities, either out of fear or out of repentance. Now Koraga Thaniya has been remodelled as 'Swami Koragajja' and is called a reincarnation of Shiva. After playing a bhajan on 'Swami Koragajja' which is making the rounds in Dakshin Kannada, Mahabal talks about how his community is preserving one of the few 'Koraga Thaniya' deiva sana's which haven't been substituted by Vedic narratives or brahmanical practises as yet. "Every day after 6 pm, there is a kola without lights, like it used to be before these changes started happening. Cars have to dim their lights when they pass by. Photography is not allowed. The manner in which we run this place has evolved but the devotion we show to this deiva remains central. This is our small attempt to fix something which is out of our hands already", says Mahabal, still grimacing about the Swami Koragajja bhajan. Mahabal adds that unlike before, there are hardly any leaders. "Parties like CPI(M) cannot win elections. The Unions might be full but who do you think those in the Union vote for? Or, which organisation do you think the children of old timers have joined?" asks Mahabal. Since the topic turned to leadership, none of the men recollected any significant women leaders from the movement when asked. 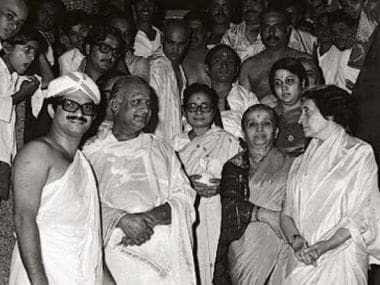 But incidentally, a firebrand leader who emerged in 1982, when she was part of a militant struggle demanding share of profits for workers from Beedi industries such as Ganesh Beedis, Bharat Beedis and PVS Beedis, lived just a few 100 meters away from Kunjanna's shop. "None of them will remember the names of the women, why will they?" laughs Padmavathi, who is 82. Padmavathi joined the Beedi Workers Union in 1957 and went on to become its General Secretary. The struggles she took part in, from demands for bonus to better wage, were at a peak around the same time that VHP was organising Hindu Samajautsavs in Dakshin Kannada. "The way things have changed now is astonishing", she says, adding that she didn't expect the near total consolidation of the Sangh in Dakshin Kannada. 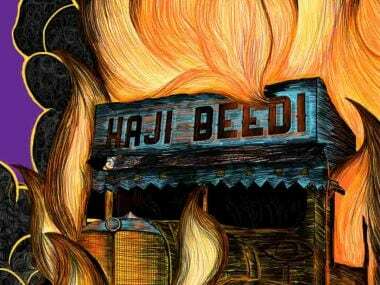 She narrates how when communal riots broke out in Kuttar Junction in 2006, RSS leaders spread door-to-door messages saying Hindu residents should no longer visit Muslim shops. "They said if we were true Hindus, we should do this," recollects Padmavathi. "I confronted a bunch of them and drove them out of my area. Who did they think they are, going around deciding what we should do?" she questions. While her daughters are divided about their political ideology, her nephew is part of the RSS. "What has also happened is that there are a very few young people in Munnuru who've joined the trade union movement or want to align with the Left. Majority of the children of the older generation of Trade unionists, be it from the Rhytha Sanghas, the Beedi workers or the Tile Workers Unions, have mostly joined some or the other wing of the Sangh," says Sukumar, who runs a country liquor store in Thokottu, a few kilometres away from Munnuru. He has served in various positions in the CPI(M). Sukumar also notes that organisations of the Sangh such as Bajrang Dal and Vishwa Hindu Parishad are particularly strong, considering Ullal is a common spot for communal altercations. Brushing past the questions of defection and women leadership, Krishnappa Salian insists that the most important question is about survival. The question of 'Badathana'. At this point, as the conversation finishes a full circle, there is a loud collective sigh from Kunjanna's shop. Mahabal on his part stays put on his position. "Cultural practises like Deiva Aradhane, with a little reform, were the easiest method to give the masses that were part of the Trade Union movements a sense of identity," he says reiterating that this, in all likelihood, could've prevented the Sangh from capturing the region and the minds of its people with so much ease. "Well, we'll never know if this could've been possible or not", finishes Kunjanna, as he gets back to work.